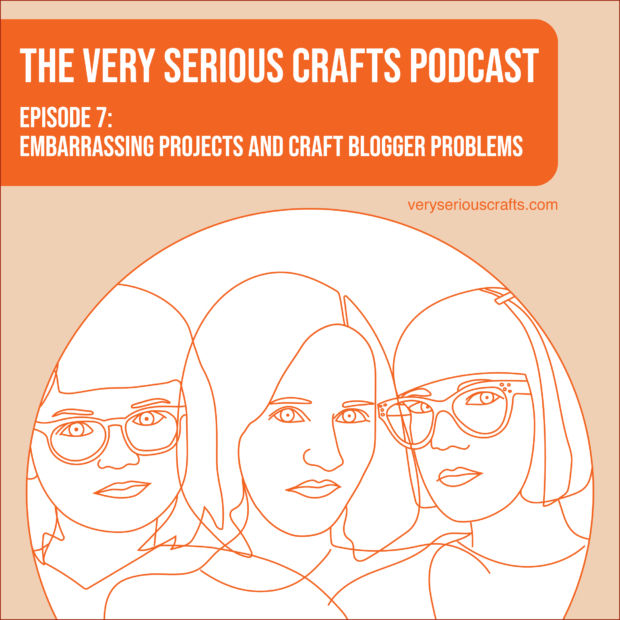 Hello, and welcome to The Very Serious Crafts Podcast, Season 1: Episode 7 – Embarrassing Projects and Craft Blogger Problems! 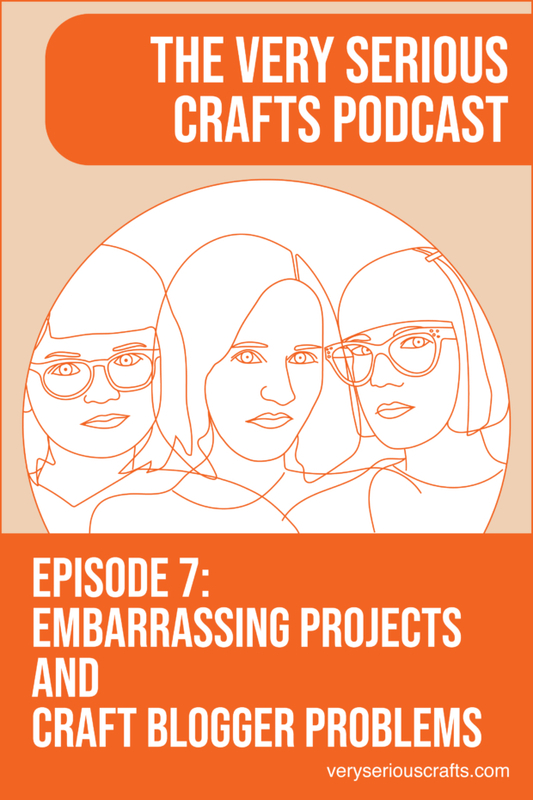 In episode 7, Haley’s cat claims her worktable, Heidi introduces us to the knitting graph paper we never knew we needed, and things get delightfully odd during one of Mollie’s trips to the fabric store cutting counter! In the Very Serious Crafts Podcast, Season 1: Episode 7, the Very Serious Crafters discuss the challenges of being a craft blogger, then Heidi invents…Mary Poppins’ pockets.